Bethel Baptist Church sits in the countryside of Stafford County, Virginia, approximately six miles east of Fredericksburg. The church’s history dates to the late 1800’s and its roots can be traced to the lives of five devout Presbyterians from New Jersey. These men had a strong personal interest in the area’s Civil War history and had visited numerous times to see its many battlefields. The New Jersey men first visited Stafford County to see the old White Oak Church. They found this fragile old building abandoned and in ruinous condition. The men decided to repair the old frame building, put in lamps, organize a Sunday School and purchase an organ and hymn books. As White Oak Church was of the Primitive Baptist belief, the circuit preacher disapproved of Sunday Schools and music, and went on to say that the organ and hymn books had to be removed from the church. As a result, the men stopped meeting at White Oak Church and decided to organize an entirely new church. 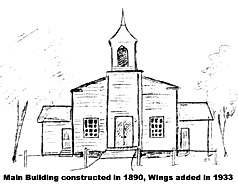 The men found strong support in the community and Bethel Baptist Church, first called Jersey Baptist Bethel Church, was created on August 25, 1889, meeting in a small schoolhouse on a local farm. Bethel Baptist was officially organized on October 27, 1890 with eighteen charter members. Sadly, the original church building was completely destroyed by fire on December 9, 1948. This was a great loss to the members of the little rural church, but they were not to be discouraged and services were held the following Sunday in the White Oak School. 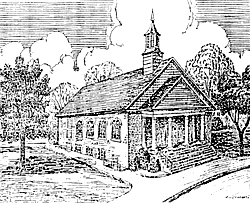 The new church was quickly constructed and less than a year after the fire, Bethel Baptist Church held a cornerstone laying service and the new building was officially dedicated on Sunday March 18, 1950. The church has since expanded to include a West Wing (1965), an East Wing (1977), and the Bethel Outreach Center (2005). Bethel Baptist Church is a member of the Baptist General Association of Virginia (BGAV) and is actively involved in the local Fredericksburg Baptist Association. The church accepts the core beliefs and doctrines as expressed in the Baptist Faith and Message (2000). The current membership is approximately 400.